Back in June, we were very proud to celebrate the first ever World WiFi Day, an initiative created by the Wireless Broadband Alliance with the goal of connecting the unconnected. We are pleased to share that the driving mission behind World WiFi Day lives on with the launch of a new initiative called City WiFi Roaming. The initiative allows both locals and tourists of major cities to automatically and securely roam between public WiFi networks at no cost. Until the end of September, users can roam for free in four different cities around the world – New York City, Singapore, San Francisco, and San Jose! 2. Once the profile is downloaded and installed from the portal, you will have access to these city networks. Your phone will automatically discover them and connect for you! And that’s it! Fon users now have an extra 4 cities in which they can roam freely until the end of the month – and that’s in addition to the 17 countries already on our map, of course! The City WiFi Roaming initiative couldn’t have come at a better time. In 2015, mobile data traffic grew 74% worldwide. At the same time, international travel has increased by over 20% in the last 5 years. With both data usage and travel overseas on the rise – plus the desire to be connected anytime, anyplace – a growing demand for internet access abroad is to be expected. 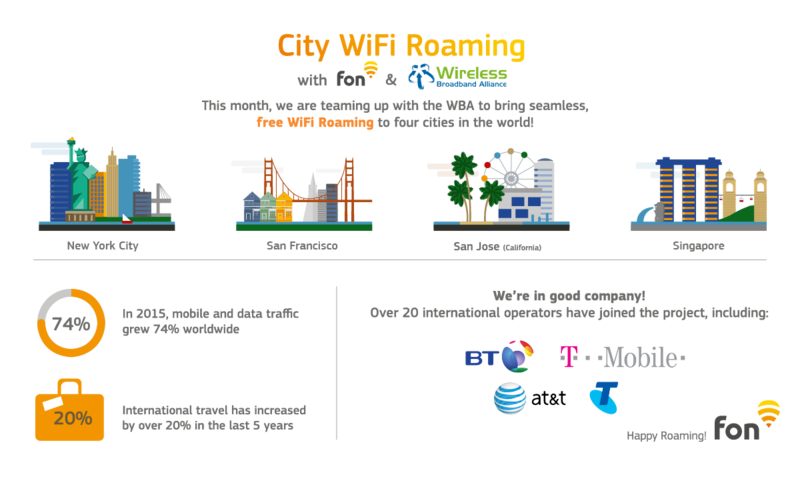 By working with over 20 international operators dedicated to the City WiFi project, we hope to highlight the benefits of affordable, automatic connection for both locals and tourists around the world!  Keep up with all the latest at Fon by following us on Twitter, Facebook, and LinkedIn!